Providing strength and support for your gutters. 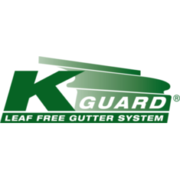 Rate and review KGuard Kansas City in Merriam, KS, United States! Share your experiences at KGuard Kansas City with your friends or discover more Home Cleaning Services in Merriam, KS, United States.